We wouldn’t be able to do what we do without the support of our many sponsors. We offer a variety of sponsorship opportunities whether it be specific to a program, special event or a partnership. By supporting our agency, you’re aligning yourself with a charitable organization that has spent over 30 years dedicated to supporting, advocating for, and celebrating newcomers to Canada. Our vision is a Canada where every immigrant succeeds, and we can’t do that without your help! Skills for Change can customize a partnership based on YOUR company’s needs. Sponsorship opportunities include (but not limited to) events, smaller organization-specific activities and cross-promotion. For more information on partnership and sponsorship opportunities, contact Sampada Kukade at skukade@skillsforchange.org. CPA Ontario supports Skills for Change’s internationally-trained clients in the field of Accounting and Finance, assisting them in their career journeys in becoming CPA designated. 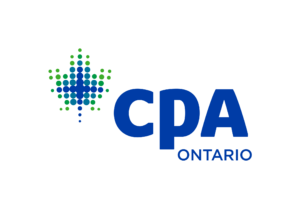 CPA Ontario hosts a series of events and information sessions aimed to provide Skills for Change clients with networking opportunities and to discuss current trends in the accounting and finance sector. CPA Ontario is also a lead corporate sponsor of Skills for Change’s Pioneers for Change and Diversity@Work signature events. With a focus on newcomer women and youth, TIFF engages and inspires the clients at Skills for Change through a series of screenings and talks with filmmakers and programmers. TIFF recently teamed up the Women Connecting with Women, a new Skills for Change program, by screening a programme of films created by newcomer women. TIFF and Skills for Change also recently collaborated by creating a screening and panel discussion for high school students on Trades and the Film Industry which took place during the 2018 Skills for Change Trades Expo. 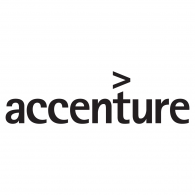 Accenture works at the intersection of business and technology to help clients improve their performance and create sustainable value for their stakeholders. In 2018 Accenture hosted networking and mentoring sessions at Skills for Change where they provided our clients with one-on-one advice on career advancement and development. Accenture Canada President Bill Morris provided the keynote address at the Skills for Change the 2018 Diversty@Work Conference. IKEA offers an exciting and empowering work environment in a global marketplace. And, as the world’s leader at life at home, they have exceptional opportunities to grow and develop together with our clients. Ikea has provided a number of valuable career opportunities to our clients which have been filled through the Skills for Change job board.